Irish Beauty Blog. 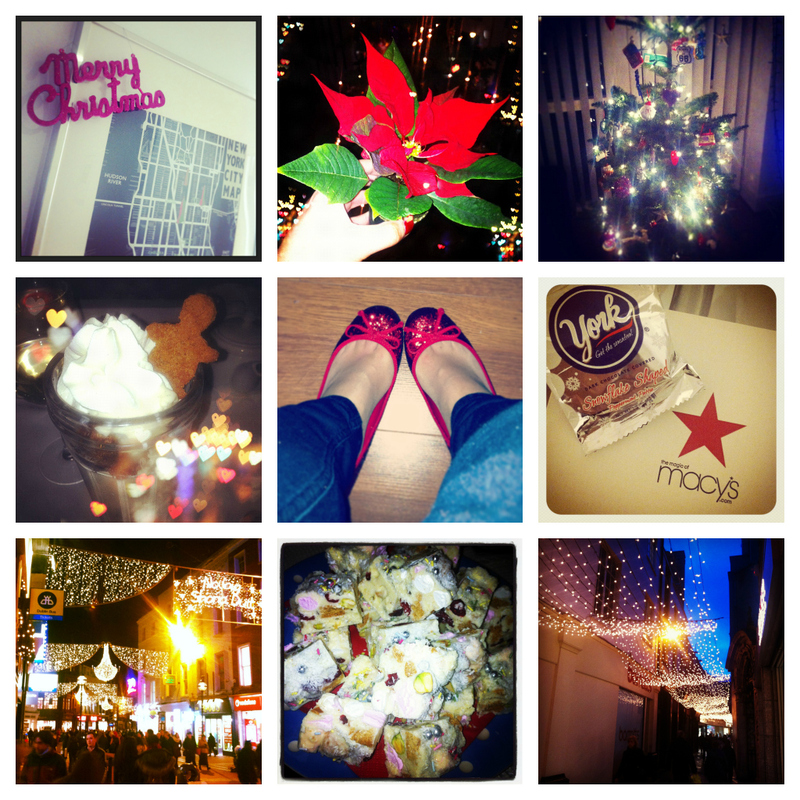 Two and a half Dubliners blogging, mostly about makeup. If you're on Instagram do follow us so we can folly back! I'm silec and Mags is actionmags. P.S. You have to try that Snowy Rocky Road recipe - it's AMAZING. My stomach just rumbled typing that. Some of us out there have all our Christmas shopping sorted, some are leaving things last minute and some of us are concentrating on what makeup we are wearing over the party season. Which ever category you fall into you might like to stop by The Body Shop to check out these little numbers which are part of the Winter Trend Collection. My favourite thing of the whole collection has got to be The Dazzling Rocks, reminiscent of Guerlain meteorites these shimmering gold and bronze beads create a beautiful effect whether it be on your cheekbones as a highlight or across your decollete - I am obsessed with using these shimmering the beads across my shoulders, simply perfect for party season. The beads are housed in a dinky metal tin. I have also been using the beads as a winter bronzer, as you can see there are more shimmery beads than bronze so swirled together they create a subtle and natural bronze shimmery effect (lets face it normal bronze would look a little unnatural at this time of year - it would be on me). Accompanying the Dazzling Rocks perfectly is the Slanted Kabuki Brush. Now for a little tale, many years ago when I bought my first MAC eyeshadow I decided that I needed a brush to go with it - when I asked the price the Sales Assistant at MAC must have noticed (my quite obvious) gasp at the price and whispered to me that The Body Shop have a great range of affordable, quality brushes. Off I skipped to The Body Shop where I bought a number of brushes (which cost less than one MAC brush) which are still in my brush collection today. This little lesson served me well over the years, I am really impressed with The Body Shop's range of synthetic brushes (although on certain brushes I prefer to use natural hair brushes but that is my personal preference). The moment I felt the Slanted Kabuki Brush I was in love, its soft and dense and fluffy and did I mention soft? Swoon, its the kind of brush that you absent mindedly rub along your cheek. The Slanted Kabuki and Dazzling Rocks are BFF's the Kabuki applies the product but also buffs it out leaving a beautiful finish. Without the Kabuki the Dazzling Rocks might appear a bit too shimmery on the face. They make a perfect combination. Dazzling Rocks cost €28.95 and the Slanted Kabuki Brush cost €28.95 which could be quite a costly purchase the week before Christmas. 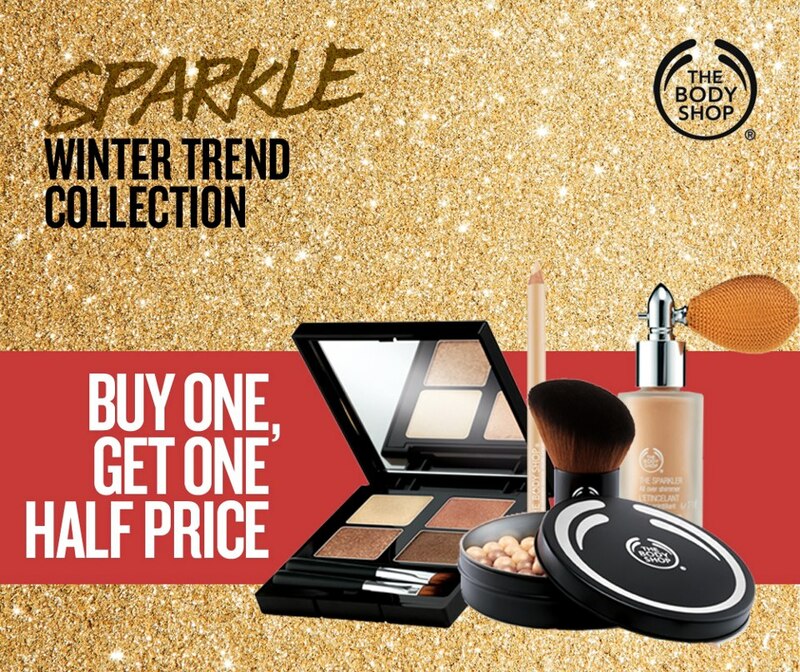 The Body Shop are feeling the love and offering buy one get one 50% off on the Winter Trend Collection right up to Christmas. I find it very hard to resist going into the Body Shop without taking a whiff (and purchasing something) from their Ginger Sparkle range, its Christmas in a Body Butter. Today I have my final Christmas set from Stila, if you have been reading the blog you will have seen that Stila have done a brilliant job this Christmas with their Christmas sets, there is a fantastic range at brilliant prices. The Seeing Stars Smudge Stick set includes 5 FULL SIZE smudge sticks for a very reasonable €35.00 (they cost €17.00 individually). What I love about these sets is you can give the set as a present or break them up and add them to different presents. Smudge Sticks are long lasting and waterproof and basically what I wear on my waterline every day. If you like smudge pots you will love Smudge Sticks which are basically smudge pots in a easy to use and apply stick. Simples. Smudge Sticks really are a fool proof way to apply liner, they are soft and clean (as in not messy and trust me I am a very messy lady) and you can pop them in your makeup bag. 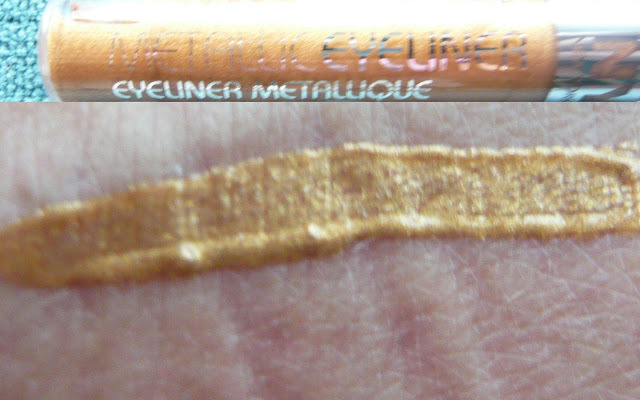 Not only can you use them as a liner you can smudge them out into a long lasting shadow. I have swatched the colours in the pictures underneath and then smudged them out so you can see the effect of the shade and if you smudge the stick. The shades in the set (and as pictured) Stargazer (black with gold and silver pearl), Angelfish (metallic pewter), Tetra (deep shimmery purple), Moray (golden olive shimmer), and finally Oscar fish (warm brown with gold pearl) – limited-edition. Stargazer is a beautiful black with a shimmer and Angelfish is a gorgeous neutral that would brighten up the waterline but by far my favourites are Tetra, Moray and Oscarfish. These shades are simply stunning and along with the shimmery metallic look they will look amazing on everybody. Stila - Seeing Starts Smudge Stick Set costs €35.00 and is available from the Stila Counter at Harvey Nicks Dublin (I love that I can say that) and also from Stila.co.uk (click here) where they offer free shipping to Ireland and the UK. Thank you Stila for not only returning to us and giving me personally a fantastic year but also for creating an outstanding Christmas Gift Selection (I literally bought all my gifts there - including some for myself). 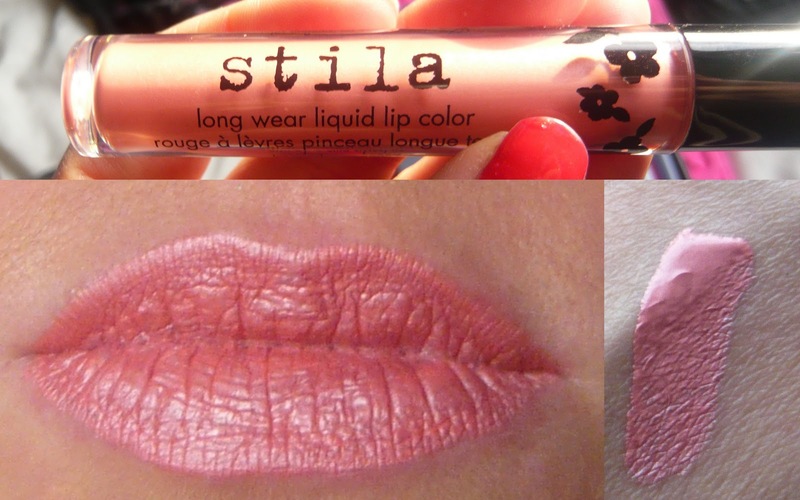 I cant wait to see what Stila have in store for us in 2013. David Beckham is at it again, no don't worry he is not up to any shenanigans he has simply created an affordable and delicious male fragrance. While Vicky B is happy enough with high high fashion which lets face it will never be accessible for most of us. David is keeping the masses happy by creating a fragrance that will happily fill many a Christmas stocking. Now there is no doubt that to look at David Beckham we are looking at God's work (I am not talking about speaking to the man, that is a different thing altogether and I think god created David so perfectly that he didn't have to speak, in fact it's best that he doesn't speak). Lets face it he is a man that James Corden has a man crush on and as well as being absurdly good looking (we haven't even got on to the abs) he is supposed to be genuinely nice. Where was I? I got distracted....Oh yeah The Essence - David keeps things simple by saying "The fragrance has a fresh vitality, which I hope men will like". Of course David had a bit of help creating the fragrance and that help came in the shape of Oliver Polge (he created Victor & Rolf Flowerbomb and Spicebomb as well as Armani Code and Lancome's La Vie est Belle along with many other award winning perfumes). The bottle is tactile and masculine with a satisfying magnetic cap closure. In my opinion the bottle and the fragrance look and smell expensive, in fact when I tested it on my bro he thought it was a very fancy fragrance (he has quite the expensive aftershave taste). My other half is not so fancy and I know this will go down a treat in his Christmas Stocking, he is the type of person who would have a stroke if he thought I paid sixty quid for some smellies on him, so this is perfect. The bottle is simple, masculine and elegant just as the fragrance. The Essence is also a great way to get a bit of David Beckham into your life, after all when you think of it his underwear costs €12.99 in H & M but if you bought The Essence you can have a man's fragrance for €24. This would make a great Christmas present for your other half, your dad, your brother and it's a fantastic way of getting something created by "The Nose" Oliver Polge who has created some of today's best selling scents. The Essence by David Beckham is available now where 30ml costs €24 and 50ml is €30 - also keep your eye out on fantastic value Christmas sets. So you probably know that Philosophy is a brand that I have big love for, I am not sure if its cause they take a season or a theme and go for it with great gusto OR the fact that the products smell of what they say they smell like (the fact that the products work amazingly well also comes in very handy I'm sure you will agree). Christmas is a particularly favourite of mine to hit up Philosophy because not only are the sets adorable the scents are amazing. Just a word of warning I have seen a number of impersonators or imposter's out in the shops, brands that have obviously noted Philosophy's quirky formula and have jumped on the bandwagon I GUARANTEE that these will be inferior products. First up is the Candy Cane Hot Salt body scrub which uses natural extracts to rejuvenate and restore tired winter skin it costs €27.90 which I think you will agree will make it a luxury treat. If Candy Cane is a little too sweet you could get Holy Berry Bubbly a luxurious bubble bath. Or perhaps you prefer a a bit of a shimmer? How about the Sugar Plum Fairy set - which has one of Philosophy's amazing 3 in 1 (that's shower gel, bubble bath and shampoo - that you can actually use as a shampoo) and a high shine shimmering lip gloss. Everybody wants to be a Sugar Plum Fairy. This set is packaged beautifully and I would be delighted to receive this. The set costs €20.30. The Care Package is a set that I have my eyes on, I have tried a few bits and pieces from Philosophy's skincare range, the packaging is simple - its whats on the inside that counts. The Care Package includes Philosophy's best selling skin care items which are suitable for all skin types : Microdelivery facial exfoliating wash, Purity made simple one-step facial cleanser (I have tried this and loved it - its also the cleanser recommended to use with Clarasonic), Hope in a jar original formula moisturizer for all skin types, Hope in a tube eye and lip firming cream and Microdelivery peel in-home vitamin c/peptide crystals with activating gel. (I had a sample of the Microdelivery peel and I LOVED IT I cant wait to get my mitts on the full size). The Care Package costs €92.00 and is a fantastic way to try the skincare range. (Santa I have been very good I promise). The Winter Escape is another lovely set which contains: Fresh vanilla frost shampoo, shower gel & bubble bath, Fresh vanilla frost body lotion, Fresh vanilla frost high-gloss, high-flavor lip shine - How delicious does Vanilla Frost sound? The Winter Escape costs €27.90. If these are all sounding a fab but a little bit spendy for your Christmas pressie budget Philosophy also have a selection of adorable little Ornament presents for €11.40. If I was in a panic about anybodys present I could happly pick out any of the above knowing they would adore it. 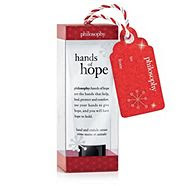 You can pick up Philosophy from Arnotts (click here) and also on QVC.co.uk (click here) which is a bit of a beauty wonderland, you can pick up brilliant sets that are exclusive to QVC and also jumbo size versions of your faviourite products. I dare you to look at the site and not go OOOOOOO. I am going to talk about powder- face powder, if I am being honest if it was me I might flip politely past this blog post but STOP don't do it, this isn't any old powder this is a magic powder (no not that kind of magic powder, this isn't LOVE/HATE you know). Now I know powder is an essential part of a beauty routine, its sets your makeup and helps it last all day, this being especially essential for the oily skinned folk such as myself but I don't use it. I should sit on the naughty blogger step, Ijust hate the drying feeling of powder on my skin, ewww hate it. Its not like I am the kind of person who will reapply my makeup during the day OH NO I just put my makeup on and go (I might reapply my lippy) so by the end of the day I generally look like a broken and shabby version of myself and for some reason I prefer that than applying a drying, caky powder. All this changed in a dramatic way when Armani Micro-FIl Loose Powder in Moonlight Pink came into my life (It mightn't have been that dramatic but trust me when I say I am impressed). I would normally be a more than a little hesitant about putting something over my face that is called Moonlight Pink - it gives me the idea that I may end up like Peppa Pig. Ah but Armani would never EVER leave you looking like Peppa Pig - Armani make up helps you look like ride - FACT. Moonlight Pink is ultra fine powder, which is so soft and smooth it almost feels like liquid. The powder is translucent with a pearlescent sheen which evens out skin tone giving a flawless finish. Since the powder has a slight rose glow I have seen some people say they would only apply as a highlighter - this was after I had happily applied it all over my face and guess what? 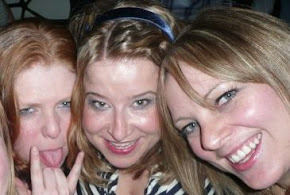 I was glowing, but not in a weird space alien way, in a Victoria Secret kinda way.... NOT A JOKE. In fact the week that I got this powder was the week in which I was inundated with images of perfect Victoria Secret Angels strutting the catwalk manging to look stunning after loosing baby weigh in literally a fortnight (while I still haven't managed to loose my Holiday weight). Using Moonlight Pink set my makeup all day (which is quite helpful actually) without drying out the skin or making makeup cakey - while also leaving you with the radiant skin of a Irish Victoria Secret Angel (i.e. paler). I am kinda gutted to learn that this powder is limited edition for Christmas because it creates such a beautiful effect on the skin. I am loving using this along with Lip Maestro in Blush (read about it here) which finishes off my Victoria Secret look beautifully (without the figure or the paycheck or the Kings of Leon Husband obviously). Of course to up the anti during the party season you can also apply this to your shoulders and décolleté for a beautiful glowing, rosy shimmer. Now I apologise in advance if the pictures just show pictures of powder - there is no way to truly capture the pretty way in with the powder gleams like twinkling fairy wings. This is a blurry shot - sorry but I was trying to show the pearlescent glow to the powder. Look at me looking thoughtfully into the distance (PS I am not wearing the Lip Maestro I haven't a breeze what I have on my lips). As you can see I look nothing like Peppa Pig perhaps I am eyeing a puddle to jump in?. The Giorgio Armani Holiday Collection is available exclusively at Brown Thomas Dublin and Cork. The Micro-Fil Loose Powder Moonlight Pink costs €36.50 and considering what a small amount of powder you need I imagine it will last a long time YIPPEE. When I was a little girl I used to gather the roses from my garden and try to create a wonderful perfume, when in reality it would just smell like decaying vegetation. After all I didn't have 150 years experience in creating perfumes that Roger & Gallet have. What is wonderful about Roger and Gallet (besides their 150 years experience) is there is something vintage and chic about the brand and the packaging, it's not going to end up in every Christmas stocking, they are not a brand that is flooding the market sitting on every shelf from Boots to Tesco. They are a brand that fragrance lovers will adore, and also appreciate the fact that you have bought something different. For Rose Imaginaire R & G have decided their bottle should look like the blush of a rose, and who wouldn't love a rose tinted bottle. What I love about the fragrance (besides it being that little bit different that when people smell it on you they can't place it, don't you love that you wouldn't smell like a mass market fragrance? ), it's not overpowering being a "Fresh Fragrant Water", it's simple and classy with vintage looking packaging. Head notes include wild strawberry from Italy as well as mandarin from Italy creating refreshing and juicy notes, these notes represent the delicate rosebud with fruity freshness. Middle notes include jasmine from Egypt and violets from the Nile bringing the fragrance to a sweeter place. Base notes have patchouli from Indonesia and sandalwood from Oceania which brings warmth and a natural sexiness to the fragrance. The base notes represent the bewitching and timeless rose in full bloom. As you will have noted the fragrance also takes us on a journey, from the fruitiness of Italy to the sweet delicate scents of Egypt and finally to rich patchouli in Indonesia. Besides my childhood dreams of creating a fragrance from my rose garden (while avoiding greenflies) as an adult I haven't been that interested in rose scents, or flowery scents in general but R & G create a different kind of fragrance - one that is chic and individual, and something that I think would make a wonderful Christmas present. Rose Imaginaire vapouriser 100ml costs €39.75 which is a brill price and is available in select pharmacies. I was walking through Liffey Valley recently and I took a spectacular fall, I was like a large elephant collapsing in a heap on the ground, I lept up checking nobody had seen, head popping up like meercat. The good news is people are so kind and came to check was I OK, bad news is I walloped my knees. I limped off feeling slightly sorry for myself and greatly embarrassed - I needed a treat. I found myself in front of Stila in Boots (the happiest place on earth) but I realised that when you have a severe makeup addiction like myself I had literally bought ALL THE STILA. I limped off again and found myself in front of the Bare Minerals stand. Bare Minerals is one of those brands that reminds me of insomniac nights watching QVC - a brand that I think is really overlooked by bloggers including myself, lets face it I am too messy to be flapping about with loose powders. A while ago I picked up a Ready (their pressed colour range) eyeshadow quad (read about my post here) and I was really impressed. The shadows are buttery soft, can be used wet or dry and are formulated with Sea Nutritive Mineral Complex along with antioxidants (cold-pressed borage oil, caffeine and cucumber ingredients) which give the eyeshadow anti-aging benefits which claim to reduce the look of puffiness and offer antioxidant protection for a softer, smoother, revitalized eye area. The quality of the shadows is really impressive but I also like that they have quads or eyeshadow duos which come in a great range of colours. The quads cost €35 and I really didn't want to spend that much on cheering myself up but when I was talking to the lovely sales assistant she showed me two eyeshadow sets they have for Christmas. They also have a range of other gifts available for Christmas which are always a good way to get a feel of a brand at a good price. One of the eye shadow sets was Star Treatment and the colours were so pretty and with 8 shadows costing €40.00 it was soon waltzing out the door with a happy new owner. As you can see the packaging would make a beautiful Christmas pressie/you fell on your face and are feeling sorry for yourself pressie. The set also contains a sample size eye primer which is always nice to get - I haven't tested it to see how it compares with Urban Decay. The colours are clearly marked on the back with co-ordinating colour which I think is a nice touch (what can I say I am a visual creature) . The palette is compact and sleek and comes with a mini double ended brush as well as instructions on different looks you can create. The colours come out exactly as they look in the pan (excuse my slightly washed out looking pictures) and are a joy to use and blend. I urge you to check out your Bare Minerals counter and just have a swatch I promise that you will be impressed. Now all I have to do is work out my favourite colours - at the moment I am in love with the slightly obnoxious looking but stunning on the eyes Connoisseur. Just a quick post today to give you the heads up about a great promotion Smashbox are running at the moment. If you've been in Boots in Liffey Valley or Blanchardstown lately, you may have noticed the shiny new Smashbox counters and if you and a friend (your BFF if you will!) sign up for a make over at one of the counters before 31st December, and leave your details with Smashbox, you will receive one of these Try it Kits in the post for absolutely zero eurobucks. That's right you're getting €20 worth of Smashbox products for free! It includes mini versions of five of Smashbox's stand out products: Photo Finish Primer, Photo Finish Lid Primer, Limitless Eyeliner, Hyperlash Mascara and Lip Enhancing Gloss. Last week we got the opportunity to play with some Smashbox products and it was great to be reintroduced to the brand. We'll be having a more in-depth look at the products over the next few weeks, but I can definitely see some of them becoming staples in my make up bag. In the meantime here's few iphone pics I snapped on the day to whet your appetite! Brow Tech to Go - wind up pencil on one end and brow gel on the other. Absolutely. Love. This. Smashbox's Christmas sets for 2012 include Studio Pop for Lips (stg£21.00), Studio Pop for Eyes (stg£19.50) and the amazing Studio Pop Palette (stg£36.00). There is also a lovely Studio Pop brush set which is an online exclusive. Smashbox is also available in Arnotts as well as online at http://www.smashbox.co.uk, and they offer free shipping to Ireland. Hurrah for free shipping! Do you use Smashbox products? Any favourites or recommendations? Hi, my name is Mags and you may know me from bright lipstick posts such as Stila Caprice and YSL Autumn 2012, that's right I love bright and vibrant lips. I will go as far to say I NEVER wear neutral lips, well that was until Giorgio Armani Lip Maestro came into my life. Earlier in the year Armani Launched their new foundation/skin perfecter (which is on my list as my next foundation to try) and now they have launched Lip Maestro which is a beautifully pigmented lip product quite different to anything I have ever tried before. Maestro is a new kind of lip product which is a lipstick/stain combo - but what is amazing about the product is how unbelievable the product feels on the lips, it's smooth and creamy and leaves a glossy pigmented colour on the lips that lasts. 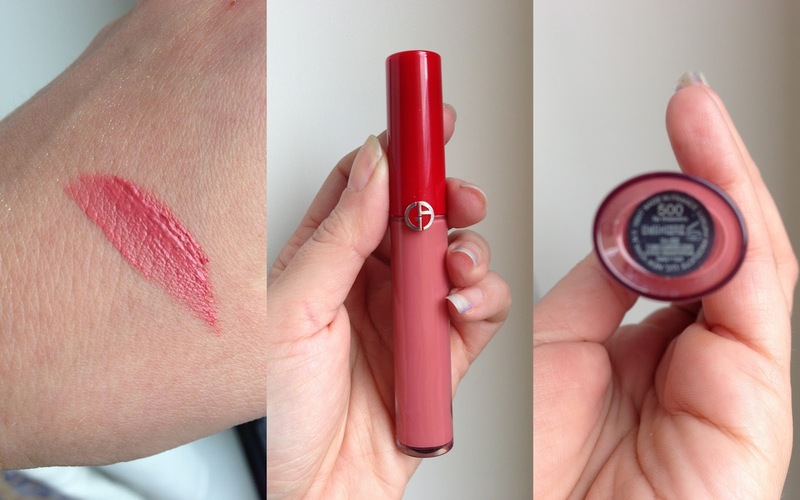 It's made of an almost gel/cream formula so it's not sticky like a gloss and the colour stays on the lips without a drying effect. Other long wear lip colours do dry down on your lips (even my beloved Stila) but Maestro leaves you rubbing your lips together they feel so lush. 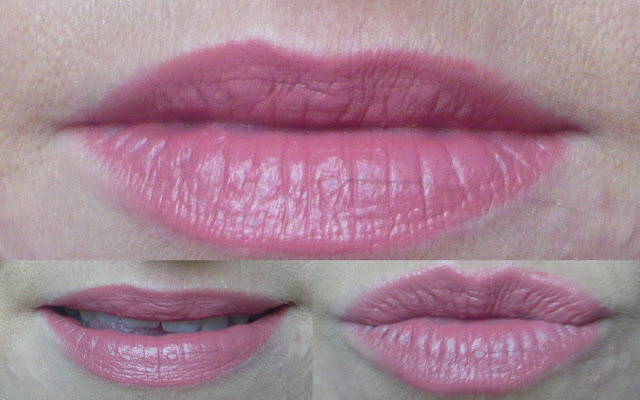 As you can see the colour is a beautiful neutral rose shade, something that I usually avoid but the texture of this product on my lips and the glow that it gives to the skin has turned this into my new "fancy" lip product - one that I wear when I am going someplace fancy, which is probably just to the cinema. So besides me smushing my lips together when I am wearing this, I think the colour is simple and stunning and has changed my perspective about neutral lips. Giorgio Armani Lip Maestro is available in a number of shades (but check out blush cause it's stunning) and they cost €26.00 from Brown Thomas Dublin and Cork. So today brings news of the budget - will we be able to afford our Crunchy Nut Cornflakes next year or will we all have to switch to Aldi own brand? (I do love Aldi). My memories of the budget as a child include my mam listening intently on the "wireless" in the steamy kitchen while the dinner was on and then my dad going out and buying petrol and cigarettes that evening before all the prices went up. Now that I am a grown up *ahem* I just feel like saying "OK hit me with it". If I am being honest most of my luxuries are long gone but I need to be able to buy my makeup for both my and the world's sanity (plus I would frighten small children if I didn't wear concealer). I love the idea of just popping into the chemist and buying a treat and NYC is one of my favourite brands for affordable or "budget" treats. This Christmas they have given us great options for festive looks without breaking even the skinniest of piggy banks. We all want a bit of drama for Christmas parties and look no further than NYC's false lashes. With the natural set costing €2.99 and the diamante set costing €3.99 these are a beauty steal - the diamante set competes with the offerings from high end makeup ranges. If you're like me and are not an expert at applying lashes these are a great way to practice and perfect - I have destroyed more expensive lashes without ever getting to wear them out. NYC's Big Bold Mascara separates and lengthens your lashes and at €2.99 it's amazing value. The wand has a massive brush (the size of my eye) and I think this helps lengthen the lashes. My favourite of this little Christmas collection has got to be the nail polishes, I am a huge fan of NYC nail polishes and the in a NY Minute polishes cost €1.29 - which is the most ridiculous bargain you are going to get. In the top picture you can see Backstage Brown which is perfect for this time of year along with Rock Muse Smoky Top Coat but the shade that steals the show for me is Full Metal Jacket. This is a simply stunning shade - if I was in the least bit arty I could create some amazing Christmas nails with this (but I think I'll leave that to the expert that is Cherry Sue). 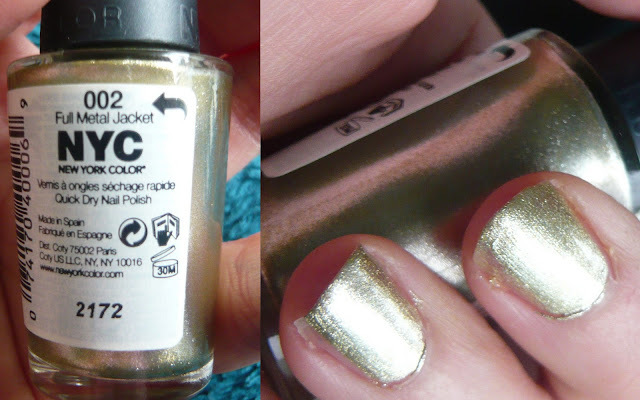 Above is ONE coat on my nails - yeah one coat and you hit gold, proper metalic pretty gold. For €1.29. Isn't it nice that NYC will give us a bit of escape from the doom and gloom with affordable products that actually work. - again Full Metal Jacket is €1.29. Mental or what. Stila's Christmas sets are really amazing and one of my favourite has to be their Long Wear Liquid Lip Colour set. This set costs €29.00 at the Stila Counter in Harvey Nicks (you can also pick it up online at Stila.co.uk). Stila are really generous with their sets and there are no ickle tiny tester size products here, these are all FULL SIZED Liquid Lip Colors. If you were to purchase a single long wear lip colour it would cost you €19.00 and here you're getting 4 FULL SIZE products for €29.00. I'll let that bargain sink in. I am already a fan of these long wearing and not drying lip colors. They offer a creamy and then matte coverage with great pigmentation. I think it would be a great set for anybody to receive as a present or you could maybe break up the set giving different shades to different people as stocking fillers. Probably my favourite shade of the set is Caprice which is a very Mags shade of hot pink. Stila do great hot pinks and this is one of my current favourites. I apologise that my face looks like a corpse in the picture below (I assure you that I am alive and well and looking slightly more healthy in real life) - the next shade is Muse, a natural mauve - as you can see in the swatch on my hand it looks a lot better when I am not washed out. This colour really surprised me, normally I am a fan of bright colours and I avoid nudes but this was really nice and flattering. Coral is a peach pink (or coral duh) colour. This is probably my least favourite colour in the set, but that is probably due to the fact that it is winter and I am pasty, I think it would look stunning with a tan in the summer. Last but not least we have Petal, a pale pink. 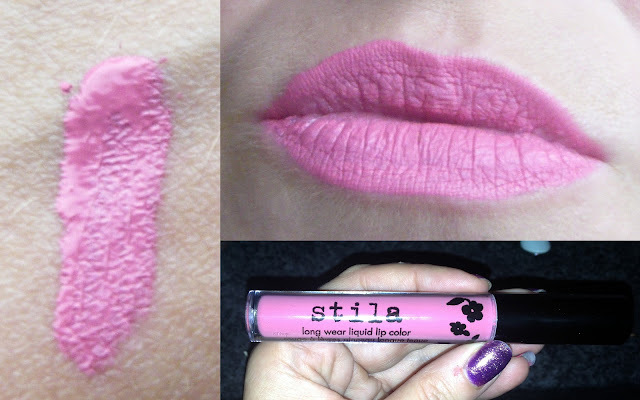 This is such a pretty wearable colour. If you want to wear bright colours, this would be a good starting point (it's bright but not as bright as Caprice). 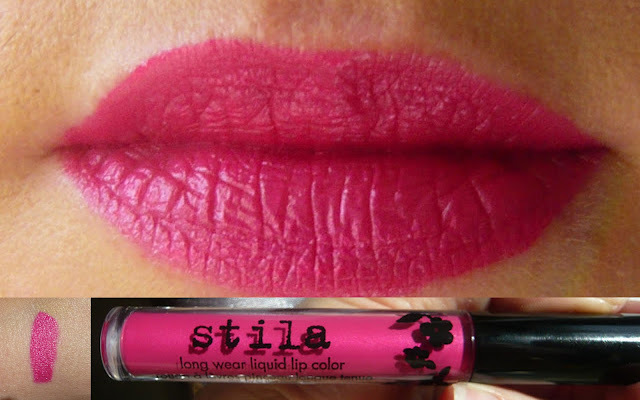 I am a fan of Stila's Long Wear Lip Colours - they actually last on your lips (even through porridge and tea). I love to put them on when I am in work because I don't have to worry about reapplying. Some products we feature are provided for review by brands or their PRs. This will be clearly stated in the post, or the products will be indicated as such by an asterix '*'. All opinions are honest and based on our experiences with the product! Slim Pasta Review - guilt free carbs!